Masterworks is getting set to host four upcoming events, including an Easter camp, a wine tasting event, Sharon Wilson’s student group exhibition, and Super Saturday. Regarding the Easter camp, a spokesperson said, “Register your little ones with us and immerse them in the wonderful world of art. 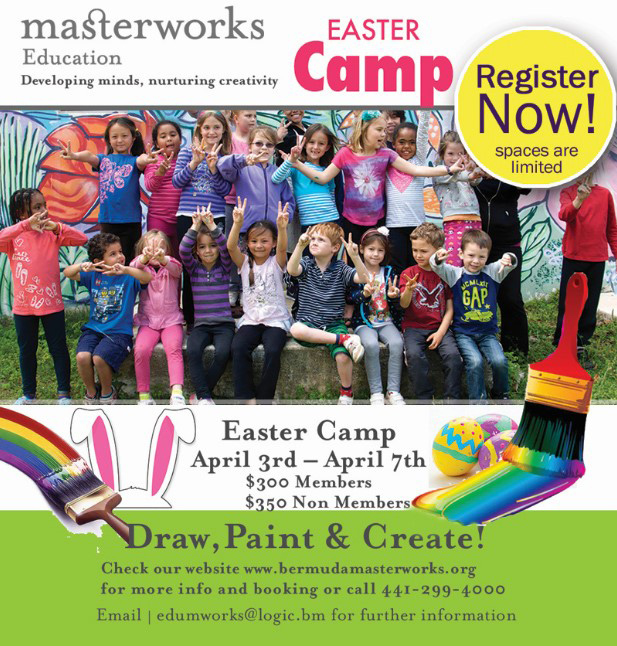 Masterworks Museum will be hosting a fun filled Easter camp running April 3rd to 7th 2017. Regarding the wine tasting event, a spokesperson said, “Tastes grape! Our next wine tasting will be held on March 8, promptly starting at 5.45pm in the Rick Faries Gallery. 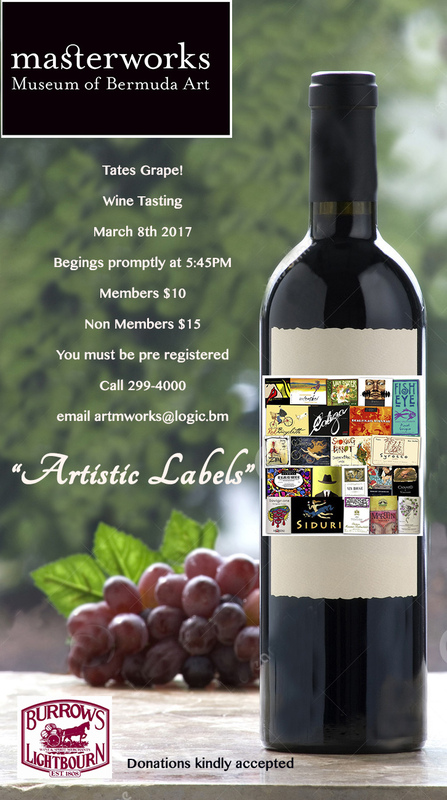 The theme for this tasting is “Artistic Labels”. Members cost $10, while non-members are $15. 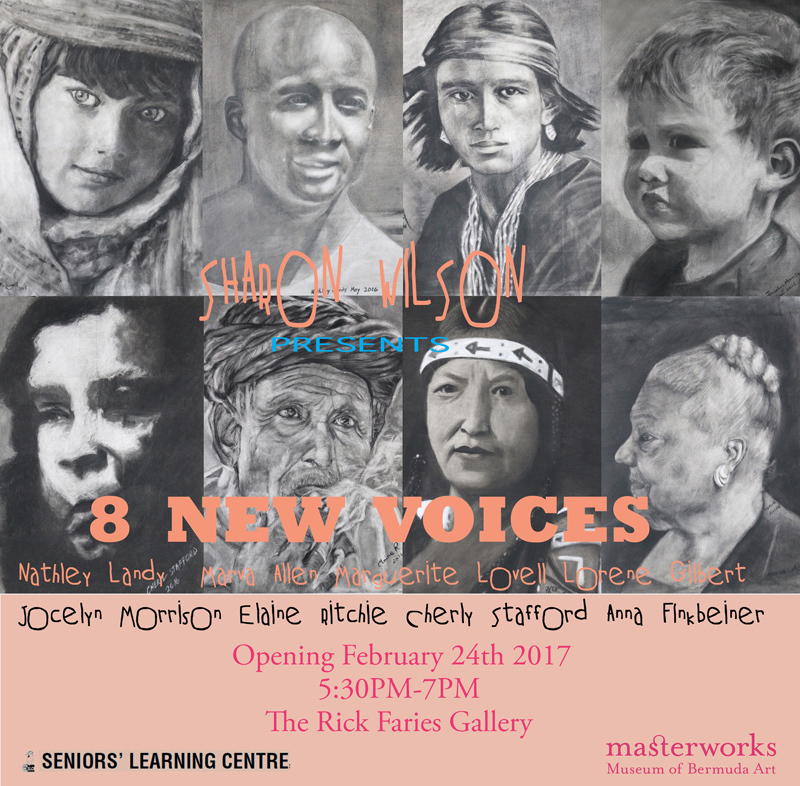 Regarding Sharon Wilson’s student group exhibition, a spokesperson said, “Currently showing in the Rick Faries Gallery is Sharon Wilson’s student group exhibition which officially opened this past Friday. Thank you to all who attended and showed their support for our local art community. 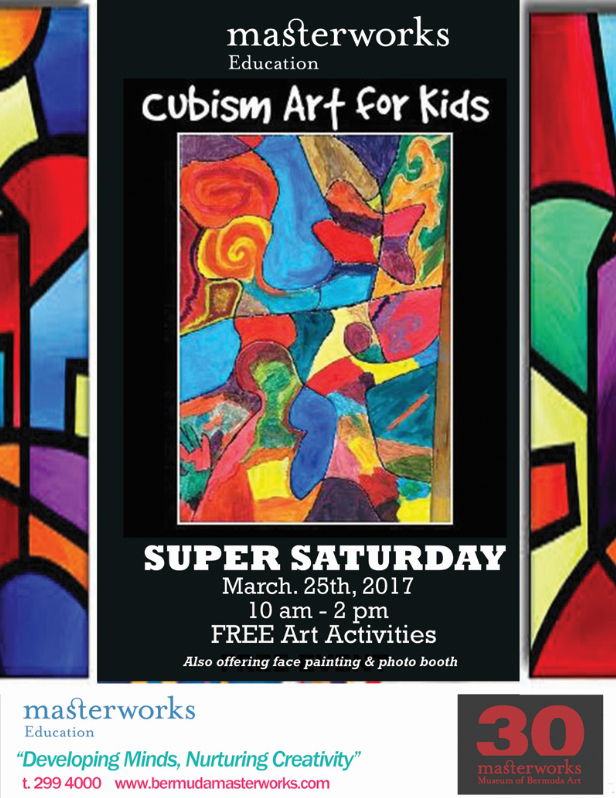 Regarding Super Saturday, a spokesperson said, “Masterworks will be hosting its monthly Super Saturday in March on the 25th. The theme will be based on the art movement of cubism, “kid cubism,” and will run 10.00am to 2.00pm. “Free art activities will be available for all ages in addition to face painting and a fun photo booth complete with costumes.